Indian Government is introducing new income tax rules to minimizing the chances of black money accumulation by the Indians. Still many people in here do not assume paying income as a mandatory citizen duty and thus try to find out new ways to escape tax payments. This black money accumulation affects Indian economy hugely as it stores a large amount of taxable income. To prevent such cash accumulation, the Indian government announced demonetization on 8th November 2016. 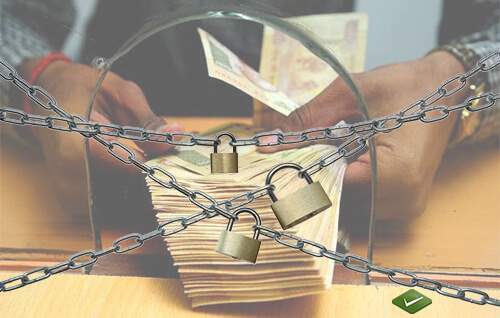 Amendments to Restrict High Value Cash Transactions. Further to prevent such black money accumulation, various new sections and rules have been introduced in Budget 2017. All these rules will be applicable from 1st April 2017 and assumed to increase the fruitful implementation of Indian income tax rules. No more than INR 3 lakhs cash can be accepted from a person in a day even against different bills. No more than INR 3 lakhs can be accepted through a single transaction even in different days. No more than INR 3 lakhs can be accepted from a person in a series of the small transaction against one bill or occasion. This income tax rules will not be applicable to Government, bank authorities, co-operative banks, post office savings banks and any persons/receipts if notified. For example, in wedding, if the groom/bride receives INR 100 from 4000 people then it will exceed the INR 3 lakhs limit but this will be not be counted as taxable incomeand will be still exempted from this section specified limit. Also, all transaction mentioned in section 269SS will be excluded from this section rules. Another new section added which explains 100% penalty for any person who violates the restrictions mentioned in Section 269ST. According to this income tax rules, the 100% means the 100% of the cash received and this will be levied by the Joint Commissioner. Another amendment announced is Section 206C which introduced new tax collection at sources (TCS) rules. Previously a 1% of such tax was mandatory for jewelry purchase over INR 5 lakhs with cash. But now, according to this new income tax rules, the same will be applicable for all the purchases and must produce PAN to the seller. In absence of PAN, the TCS will be applicable at a double rate or at a rate of 5%. All these amendments and new sections and income tax rules clearly depict that Indian Government is now more focused on reducing black money accumulation. This is very intresting article that helps me a lot to understood the precaution that keep in my while amandment to restrict high value cash transation, like Section 269ST: Restriction on cash transactions, Section 271DA: 100% penalty for high value cash transactions, 206C: Other changes for stricter cash policy, this section were are necessary to understood while having cash transaction at high value . thanks for providing such an amazing articel to us.